On 1 February 2016 the European Free Trade Organization (“EFTA”) Surveillance Authority has sent a Statement of Objections to Telenor over the possible breach of EEA competition rules in Norway. 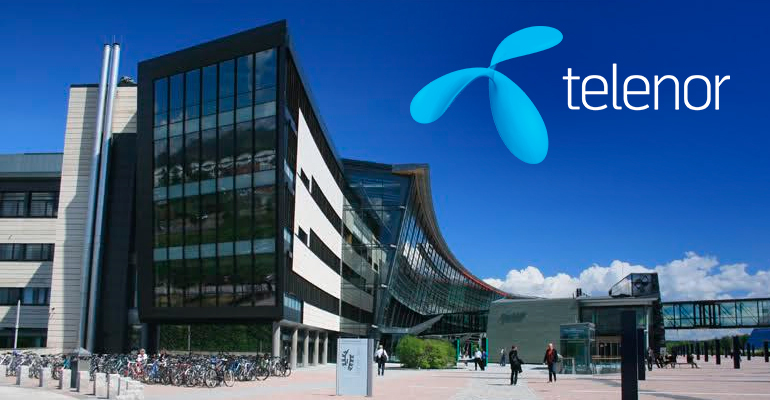 Telenor now has until 11 April to claim its position regarding the received antitrust charge sheet. Namely, the EFTA Surveillance Authority suspects that Telenor may have abused its dominant position in Norway, by obstructing competitors in three markets related to the provision of mobile communications services to Norwegian users: the market for wholesale mobile access and origination services, the market for mobile broadband services to residential customers, and the market for mobile communications services to business customers. The EFTA Surveillance Authority takes the preliminary view that Telenor’s pricing of access and origination services at the wholesale level likely impeded competing offers in the market for mobile broadband services to residential customers. According to EFTA Surveillance Authority, from January 2008 until the end of 2012, Telenor charged prices to wholesale customers that were higher than the prices Telenor offered to residential mobile broadband users. Furthermore, the EFTA Surveillance Authority considers that by its contract clauses, Telenor have breached the competition rules in Norway on the market for mobile communications services to business customers, since it made difficult for its customers to change service provider and overly expensive for competitors to capture customers. The Statement of Objections sent to Telenor, being a first step in opening of in-depth investigation, resulted from an unannounced dawn raid at the premises of Telenor Norge AS and Telenor ASA, its parent company in Norway, conducted by the EFTA Surveillance Authority in December 2012. The inspection was continued and finalized at the EFTA Surveillance Authority premises in Brussels in March 2013. The collected data enabled the EFTA Surveillance Authority to confirm its concerns and to decide that an in-depth investigation is needed. It should be noted that the decision to open proceedings is a procedural step in its essence. It means the EFTA Surveillance Authority intends to proceed with an in-depth investigation, however, it does not mean it has concluded that the company in question is guilty of anti-competitive conduct. Nonetheless, since the EFTA Surveillance Authority, after conducting the investigation, came to the conclusion that the potential infringement of the competition rules has been committed, it has addressed a Statement of Objections to Telenor communicating its competition concerns. Telenor now has the opportunity to respond to these preliminary findings in writing and, if needed, at an oral hearing. If the EFTA Surveillance Authority’s position following this procedure, remains the same, it will adopt a decision finding that Telenor had infringed the EEA competition rules. It will also impose a fine if appropriate, which can amount up to 10% of global turnover on undertakings that infringed the competition rules. Located in Brussels, the EFTA Surveillance Authority ensures that EFTA Members conform to their commitments under the EEA Agreement. The significance of the body can be understood by drawing the analogy with the position of the European Commission, which has the authority to supervise the EU Member States. One of the important roles of the EFTA Surveillance Authority is that it also ensures that enterprises in the EFTA countries abide by the rules relating to effective competition. EFTA Surveillance Authority can investigate possible infringements of EEA provisions, be it on its own initiative, or on the basis of complaints. Which should be emphasized is that the ESA maintains close contact and cooperates frequently with the EU Commission. This cooperation may be important for the companies that operate on both EFTA and Single Market. If it concludes that there is sufficient data to investigate company’s anti-competitive behavior on the EFTA market, collaborating closely and sharing data with the EU Commission, can eventually lead the Commission to reach the same conclusion regarding the company’s behavior on the Single Market.